There's never been a lawyer who's captured the hearts of gamers quite like Phoenix Wright, Ace Attorney. That's not only because Capcom's Ace Attorney is perhaps the only Bar-based game to hit the big time, but also because of the excellent writing, memorable characters, satisfying gameplay, and fast-flying 'Objection! 's that make the series so much fun to play. 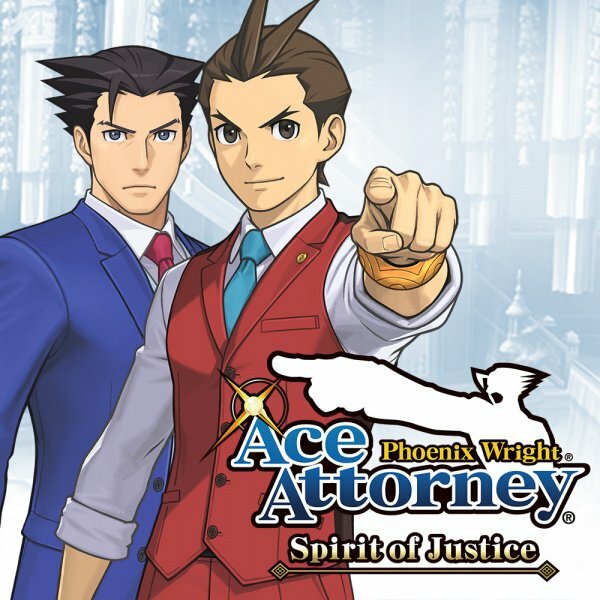 Following the original Game Boy Advance trilogy (available on the 3DS eShop as Ace Attorney Trilogy), the DS-only Apollo Justice: Ace Attorney, and the 3DS' Dual Destinies, Spirit of Justice is the latest in this long-running line of lawyerly adventures to come to the West. 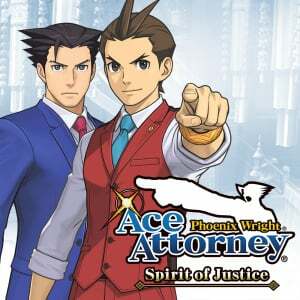 It brings a new setting, new mechanics and new faces, along with the same nail-biting narrative and come-from-behind courtroom drama that's made the series so legendary, and it's an absolute success; Spirit of Justice is a witty, enthralling visual novel that's more than worthy of the Ace Attorney name, and one of the 3DS' very best adventures. Right off the bat, Spirit of Justice delivers a shakeup for the series: rather than the sunny city streets of Los 'Totally-Not-Tokyo' Angeles, famed defense attorney Phoenix Wright finds himself in the cloudtop kingdom of Khura'in, a pious paradise in the Himalayas. There to visit old friend Maya Fey at the end of her two-year stint at spirit training, Phoenix finds trouble almost as soon as he steps off the plane. En route to meet up with Maya, his local guide Ahlbi Ur'gaid (yup!) gets mixed up in grand theft and murder, and our intrepid attorney steps in to defend him. 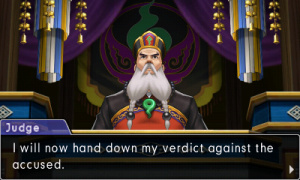 Thus begins Phoenix's fateful journey into the high courts of Khura'in, where — as he soon finds out — religious law rules, and lawyers are looked down upon as sacrilegious scum. An uphill battle, to be sure, but that's where Phoenix thrives, and Spirit of Justice takes full advantage of its new setting to deliver a fantastic story — genuinely one of the best we've had the pleasure of watching unfold on the 3DS screen. As Phoenix and friends delve deeper into Khura'inese court and culture, more mysteries start to present themselves, and family secrets, unlikely links to home and the winds of revolution all play their part. You won't be confined to Khura'in, either; Apollo Justice and Athena Cykes are holding court of their own back in Los Angeles, and you'll be able to play through their own trials and tribulations between Khura'inese court bouts. And no matter which side of the Pacific (or Sea of Japan) you may find yourself on at any given moment, you'll run into plenty of familiar faces, with returning characters and cameos both big and small in both countries. As fun as it is to see Maya, Trucy and the whole gang in action again, Spirit of Justice is much more than a reunion — it's a wonderful mix of old and new. 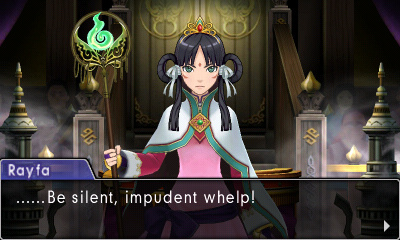 Exploring Khura'in and its customs adds a novel sense of discovery, and the Khura'inese characters are as personable and interesting as any Phoenix has met in his career — especially enlightened prosecutor Nahyuta Sahdmadhi, whose characteristic calm makes him a unique opponent, and the princess priestess Rafya Padma, whose serenely tsundere blend of confidence and irritability is endlessly endearing. Princess Rayfa is also the medium behind one of the biggest gameplay shakeups in Spirit of Justice: the Divination Séance. In past Ace Attorney trials, your job as a player was to help Phoenix point out inconsistencies and contradictions in witness testimony, poking holes in people's stories with evidence, inklings, and well-timed 'Objection! 's until the truth shone through. That's all here, of course — and it's as satisfying as ever — but when Phoenix first shows up to court in Khura'in, there hasn't been a witness on the stand for several decades. Instead, cases are decided and sentences handed down through the Divination Séance, Rayfa's ritual which lets onlookers see the victim's final memories right up until the moment of their death. These Séances play out like silent videos filmed from the victims' perspectives, and show not just what they saw, but what they experienced through all five of their senses. The video feed itself represents sight, of course, while colour-coded, overlaid words fill in for the other senses; you might see 'Incense' pop up the screen when a victim smells the scent, 'Footsteps' as they hear someone approaching, or 'Pain' as they feel the stab of a dagger. The size of these words indicates the intensity of the sensation, and they can change over time, so there's a lot of information stored on these transcendental tapes. Once the Séance is over, the princess gives her 'Insight', a text-based summary of the victim's last moments that's taken as the facts of the case. Naturally, it falls to Phoenix to protest, by pointing out any complications or contradictions that might help exonerate the accused. You'll help him out by comparing the Insight to the Séance vision directly, through a simultaneous, dual-screen interface that juxtaposes the Séance on the top screen with the Insight on the bottom. You can move between different sections of the Séance with the 'Y' and 'A' buttons, and cycle through the Insight with the D-Pad; once you find something that doesn't add up between the two, you'll line up both parts to expose the inconsistency, and hit 'X' to stun the courtroom by pointing out exactly where in the Séance the trouble lies. You might notice that the victim is hearing a certain ritual song when the murder supposedly took place after said rite was over, for instance; so you could cue up that section of the Séance along with the Insight that mentions the timing, hit 'X', and then point to the words 'Sound of ritual song' using the touchscreen to make your point and prove the princess wrong. That's a relatively simple example, but once you factor in varying intensity (i.e. are the footsteps getting closer or further away?) and even the absence of sensations (i.e. shouldn't the victim have noticed a pungent smell here? ), things can get gloriously clever, and we absolutely loved this new mechanic. It fits in beautifully with both the new setting and the series' "Gotcha!" gameplay, the video-editor-like interface is snappy and intuitive, and it feels like a totally natural evolution of cross-examining testimony; as exciting as it is to counter a witness' false claims with carefully chosen evidence, we found refuting Rayfa's Séances even more thrilling. Most inconsistencies took us several pass-throughs of both the video feed and the Insight text to find, and more often than not consisted of seemingly unimportant details, the significance of which only becomes clear well after they're uncovered. The Divination Séances are a real highlight, and ended up being one of our favourite mechanics from the whole series, but happily they're joined by plenty of returning techniques from past games that make for an incredibly varied quest for the truth. You'll be able to pick people's Psyche Locks, coaxing them into telling more than they otherwise would by choosing a correct series of pointed questions, put Apollo's trusty bracelet to work to find out when someone's hiding something big, use Athena's Mood Matrix to pick up on subtle emotional cues in witness' voices and point out where the feelings don't match the facts, and perhaps even put some of Ema Skye's scientific methods to work. 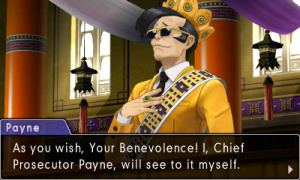 And that's not to mention all the time you'll spend beyond the courtroom walls; though a good portion of the drama unfolds within the halls of justice, the gameplay is divided relatively evenly between trial time and investigation sequences, where you'll comb the streets of Khura'in or Los Angeles, Professor Layton-style, looking for evidence, talking to persons of interest, and learning everything you can about your case before you head back to court. All of these systems and mechanics add something to the experience, and having so many techniques at your disposal really makes Spirit of Justice feel like the culmination of years worth of lawyerly expertise — in gameplay terms, that means you'll never want for fun, creative ways to get your information. Even when you're not using Pysche Locks or fingerprint powder, Spirit of Justice still pulls out all the stops to turn what is essentially a visual novel into a totally dynamic experience. The trademark screen-shake and sound effects at key moments, screen-filling text bubbles, and well-placed speed lines make the story feel like a manga come to life. Text dialogue is doled out at different speeds depending on how fast someone's talking, and plenty of set-pieces — from sung verse to untranslated Khura'inese — keep everything feeling fresh and exciting throughout. That said, if ever there was a series that could stand on its text alone, Ace Attorney would be it, and Spirit of Justice is no exception. This isn't just a well-written game, it's well-written full stop, with smart, snappy dialogue, wonderful characterization that goes well beyond tropes, and memorable turns of phrase that are totally charming without feeling forced or fake. And it wouldn't be Ace Attorney if all that class wasn't backed up with a healthy dose of sass, so Capcom's Pun Development Division put in overtime for this one; note the sacred Tehm'pul Temple, security guard Paht Rohl, hippy troubadour Pees'lubn Andistan'dhin, and countless others benefiting from Khura'inese's orthographic 'h's and glottal stops. Spirit of Justice's pacing is excellent, too; the story's full of twists and turns that will keep you constantly guessing and uncovering new information and insights as you go. Every time we picked it up, even for a short session, we turned up new clues, came up with new theories, turned our thinking around, and experienced the 'Aha!' 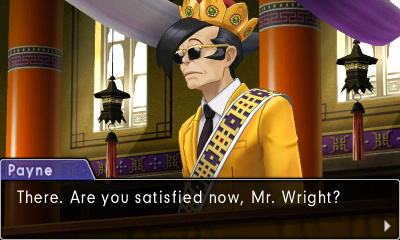 moments that make Ace Attorney so addicting. In fact, moreso than previous games, the pacing almost always felt on target in terms of our own understanding of events — for the most part, as soon as we figured something out, we were able to do something about it relatively quickly, rather than having to sit on our insights for hours while watching Phoenix & co. work through it frustratingly slowly. When we did run into problems, it was mostly in the opposite direction; it's easy to get Phoenix on board, but convincing the judge can be trickier — there were a few times where we'd figured out exactly what was going on, but it took several attempts and some save-scumming before we hit on exactly the right way to go about presenting it to the court. Still, any excess time spent in the Khura'in is an absolute pleasure; Spirit of Justice looks incredible, and Khura'in's Himalayan backdrop gives it a lovely look. Khura'in is dripping with colour and is busily beautiful; taking its art direction from Tibet and the peoples of southwestern China, it's full of multicoloured prayer flags, Buddhist motifs, dark reds and bright oranges, blues, gilded columns, cloudy mountain peaks and faux-Tibetan scripts, and we couldn't help but want to explore every bit available as soon as we jumped in. It's impressive on a technical level as well; we loved watching dust settle through sunbeams and prayer flags swaying in the wind in the subtly-shifting backgrounds, and the animations are still the best in the business. Every witness has a set of characterful animations that wouldn't look out of place in a Pixar picture; prosecutor Sahdmadhi in particular gets a ton of mileage out of his prayer beads, and Princess Rayfa's flowing robes had us happily watching the full Divination Séance dance every time. Anime cutscenes are relatively infrequent, but when they show up they're beautifully done, layered with stereoscopic 3D and paired with excellent voice acting. Unfortunately, for such an otherwise impressive-looking game, the actual user interface can chug noticeably at times. 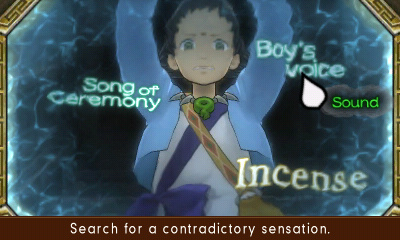 There's a slight but salient pause in-between pressing a button and getting a response in investigation scenes, and the cursor is likewise a bit slow on the uptake — whether using the stylus on the touchscreen or the Circle Pad, it feels like you're dragging it, rather than moving it directly as in the 3DS Professor Layton titles. Moments when the camera moves quickly — like in courtroom pans, or when shifting between angles in investigation scenes — also highlight the sometimes-low framerate, but overall, this is a gorgeous game. Elsewhere, the interface sports some very welcome quality-of-life features, like an always-accessible log, a 'Notes' tab which helps keep you on track if you get lost or come back after a long absence, and pop-up indicators to show which parts of a scene have already been investigated. Our only wish would be for single-(right-)hand-friendly controls; for a game that's so perfect for playing with a warm beverage in-hand, not being able to advance text with the D-Pad or 'L' button feels like a missed opportunity. Along with its trademark poses and puns, the catchy soundtrack has always been a huge part of Ace Attorney, and Spirit of Justice carries that tradition on with gusto. In Los Angeles and at key moments during trials on both continents, familiar themes return with updated versions featuring the classic synth instrumentation the series is known for, but Khura'in brings new tunes in a new mode, and they're wonderfully done. Droned lutes, prayer bells, tingshas and other Tibetan instruments make for plenty of memorable melodies outside the series' usual style, and hearing old favourites redone à la Khura'inese is a real treat. Relatedly, it's worth noting that even though Spirit of Justice is the latest chapter in an ongoing series, you can still start here and have a brilliant time. 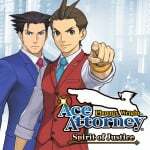 You'll certainly get more out of it if you've played previous titles — there are direct references and clever nods to earlier games woven in at every turn, from dialogue to musical motifs — but you won't be stumped for clues or miss anything of vital importance if it's your first time in court. You saw this verdict coming; Phoenix Wright's latest adventure is every bit as brilliant as his earlier escapades, with phenomenal writing, satisfying gameplay, and tons of irresistibly clever courtroom drama. 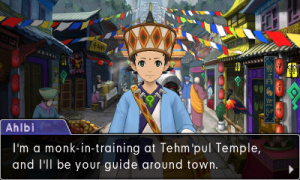 The high-altitude Himalayan setting is fresh and fun, and much more than just window dressing; the thrilling Divination Séances are a wonderful on-theme addition, the new characters are as memorable as any in the series, and Khura'in's customs makes for both enjoyable virtual tourism and a constant source of plot-twisting courtroom culture-shock. Whether you're a longtime fan or a first-time offender, no further deliberation is required — this is a court date you won't want to miss. I really need to catch up and play Apollo Justice and Dual Destinies. @Reverandjames I'm still in the first case of DD so I can't offer my verdict on that one yet. But Apollo Justice blows away the original trilogy imo. The demo was very fun. I I'll grab the full game eventually. I'm about to wrap up Layton vs Wright and then I'm moving straight to this one. Skipping the review for the sake of spoilers, but that 9/10 is looking very good indeed! So Capcom can still do some things right. Like this and MH. @Reverandjames I'd say it was very different. It tries a lot of new things, and whilst some of them definitely don't work, it's overall another very solid ace attorney game. I definitely wouldn't say it blows the original trilogy out of the water (I think it's better than justice for all but worse than the original game and trials and tribulations) but it's still great! I really wish there had been a preload for this one, but I suppose I can wait out nine more hours. I suppose. Excellent. Need to play Apollo Justice and Dual Destinies first. Haven't read it all yet, but is this the longest single game review in NL history? Does anyone here recognize my avatar, by the way? She's a character from the Ace Attorney universe. I finally caught up on the series just the other day with Dual Destinies after first getting into the trilogy last year. 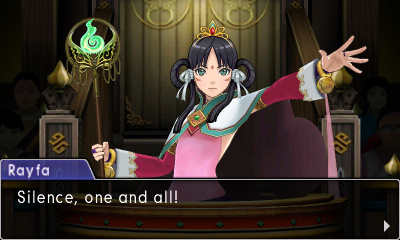 This is the first time I'll get to jump into a new Ace Attorney game with everyone else. I'm pretty excited! I can't remember her name, but she was the sleepy airline attendant from Investigations, right? It's finally here! I love all of the games in this series, maybe Apollo Justice a bit less. But Apollo's character was very good in Dual Destinies, so I have high hopes for this one. @BranJ0 Of course we can, it's Furio Tigre! @OdnetninAges @BranJ0 Yes, both correct! PLEASE GIVE US THE GREAT ACE ATTORNEY. PLEEEEEEEEASE! Hey, has anyone else seen the new Honest Trailer for Ace Attorney? It really nails the series to a T.
While I don't think the series will ever again reach quite the same highs as Trials & Tribulations did, I still get really excited whenever we get a new Ace Attorney. Like Dragon Quest, the series is something like gaming comfort food for me. Great in-depth review. I would like a bit more of a direct comparison with Dual Destinies, though. Is it better written? Is the overarching narrative stronger/more prevalent? Things like that, mainly. @BranJ0 The original is very hard to beat really. It's one of my favourite games of all time. Just glad to hear that the quality is still so high! I am half way through the original Phoenix Wright: Ace Attorney. I have a loooooong way to go before I can try this one. @BionicDodo Don't rush them, it's gonna be a while before the next game comes out, so take your time! And make sure you play them in order! @Reverandjames It's pretty good. Not as good as the original or T&T, but definitely better than JFA. The presentation is top-notch too, as well as the soundtrack. I'm working my way through AAI2, but it's shaping up to be even better. @MarcelRguez Might check it out somewhere between AJ and DD then! I think my Sister may have it, she's an even bigger fan than me studying Law at College/University as a result of playing Phoenix Wright! @Reverandjames Do it if you can. Keep in mind it's a pretty self-contained title that doesn't get referenced in DD. You can play it at whichever point you choose. @ReverandJames AAI is very good. Personally, the way the Phoenix Wright stories are for me is virtually the same as @MarcelRguez, although I'd say that both JFA and TAT's third cases deserve to be miles below everything. I've heard good things about AAI2, but there's only a fan translation of that unfortunately. Great review! I'll pick it up right after I've finished playing through the trilogy. @MarcelRguez Ah ok, thanks for the tip. Doesn't seem too hard to find either so might have to grab it to complete my collection! I think I might be alone in this ranking though! is it needed to have played Appolo Justice to enjoy this one ? 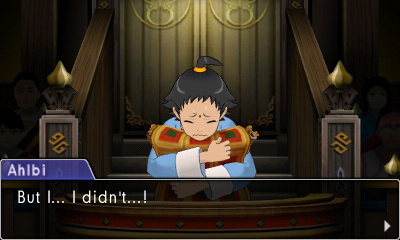 I played the 2nd one, Dual Destinies, but not the first, Appolo Justice. 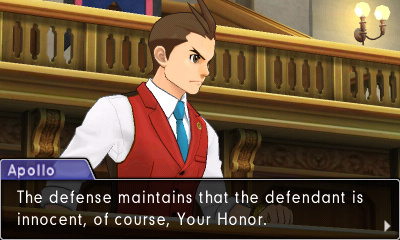 @Kokusho From what I've heard, though I've largely avoided spoilers, the game is more rooted in Apollo's than Dual Destinies was but still doesn't really follow up on some of its lingering plot threads and isn't that dependent on having played it. @BranJ0 It's different, but I can see the reasoning behind that order as well. Ah why not. I was going to import only, but I'll double dip. Almost done with Dai as is. One of the best ways to show Capcom you want 'The Great Ace Attorney' aside from writing letters to the company and asking at the live-streams is to BUY Ace Attorney games in your area so I will buy this game but also b/c I would be just as upset if it weren't localized. I expect news concerning The Great Ace Attorney to surface in the next few weeks. The verdict is clear. I am to play this game the moment it becomes available. No objections here, your honour. I'm trying to download it, as the game shows up under "new releases" in the eshop, but there's no ability to download it yet. WHAT GIVES?!?!?!?! WHY IS LIFE SO CRUEL?!?! @BranJ0 There's no chance of that, I have about 200 games in my backlog. The NX successor will be out before I get to this game! "Long-running line of lawyerly adventures". Try saying that five times fast! As neat as this game looks, I'll unfortunately have to pass until Capcom decides to release it in a physical format (which I know is unlikely). Anyways, I'll be picking up the new Ace Attorney game real soon. Next paycheck. @shonenjump86 The sequel is supposed to be one of the best games of the entire series. I'm thinking of checking out the fan translation soon. Definitely playing it, but I'll wait and buy it after some walkthroughs become available. I know from past experience that I'll need some help. Those who buy the game this first week get some free DLC costumes (ending Sep 14). @Yasume Yes, you really should! Even some of the most cynical ace attorney "fans" I.e. the people that only like the original trilogy, love investigations 2, claiming it's the best or second best ace attorney. 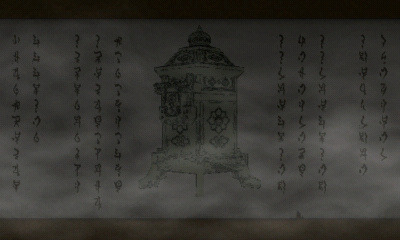 The fan translation is of a seriously high calibre as well, easily the same standard as an official translation. It's brilliant! @Frosty_09 Yeah, I remember that one, really tested my patience too! You think it's finally coming to a conclusion then "Hold it!" I can't wait to check this out, but I've got a lot of Ace Attorney to get through first. I just finished case 2 of Apollo Justice, and of course I have to play Dual Destinies before Spirit of Justice. This series is so great! I have met the same "meh" people gave DD, though it isn't bad, just not like the rest of the series.Yet, I sure am looking foward to playing this one. I'm loving this game from just the first trial. It was great.